In a world of uncertainty and constant challenge, all governments, companies and public and private sector organizations know they need to plan for emergencies. The best organizations ensure that their emergency planning provides the safest and most secure environment for their customers, staff and related contractors. Effective planning prepares organisations to not only exceed the scrutiny of external inspection, but also meet the challenges of real incidents. Understandably, emergency services are reluctant to allocate the manpower required to conduct the necessary liaison and integration meetings with hundreds of different sized hotel chains, destination and event companies etc. To do so would be beyond their resource capacity. Similarly, cruise companies report a reluctance on the part of some port authorities to work with them on wider integrated response plans. Even airlines have reported a similar reluctance on the part of some airports to work with them on wider integrated response plans with local authorities over and above those already required by IATA and ICAO. But is such reluctance wise? After all, if emergency services and plans are not effective the implication could be severe damage to the collective reputations of all those concerned with the emergency regardless of their role. Similarly, smaller tourism companies report that they do not have sufficient manpower or training to dedicate to the development of their own plans in such a way as to integrate with emergency services and other authorities. Indeed, many tourism companies report that their staff lacks the training and confidence to deal with local or regional emergency service representatives for more integrated planning and exercising. Recent research undertaken by our staff here at Bournemouth University (BUDMC) indicates that there is considerable work to be done to address these issues in particular. It is for this reason that emergency services and travel and tourism organisations and agencies need to learn more about each others’ worlds; to fully grasp the shared needs and thus the shared opportunities that arise from effective planning and response integration. Simulation exercises are a cost effective eway of doing this; by using a simulated scenario in which the exercise injects reflect recent issues and lessons learned from previous emergencies, teams from varying organisations can be immersed in a realistic situation and learn to understand the perceptions and requirements of their counterparts in other organisations. 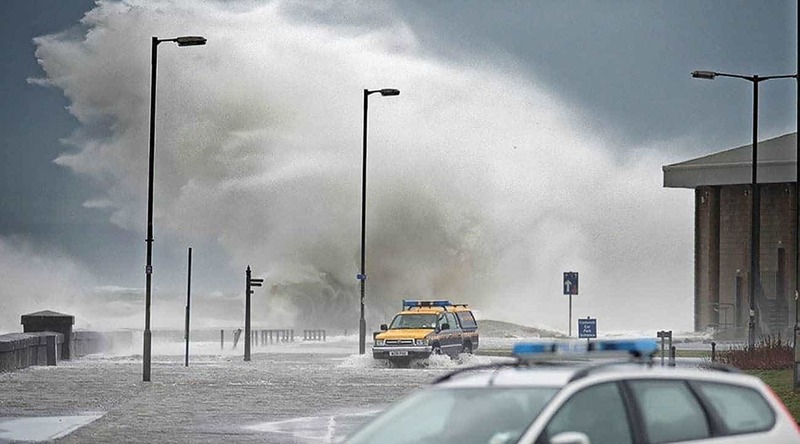 Wild weather and high winds can affect tourists in every part of the world. BUDMC trains organisations and their staff to develop simulations to exercise teams of emergency responders and wider stakeholders in integrated response. The aim of these exercises is to help emergency responders and wider stakeholders (such as public or private companies and institutions) to practise and develop their thinking in on-site and off-site planning and to better understand the ways in which procedures and processes can be integrated thereby achieving greater cohesion and effectiveness whilst minimising duplication and cost. BUDMC has developed a unique and innovative Crisis Management Exercise Tool (CMET) that allows crisis and disaster scenarios to be developed and played out over fixed periods of time with audio, video and text based injects delivered to exercise participants in their exercise roles on personal smartphones, laptops and other devices. CMET has been designed to work from local servers, and/or over the internet, using secure protocols to ensure privacy and resilience. The software assesses the efficiency with which teams collaborate, make decisions, and communicate their decisions to key stakeholders. The software also provides reports of the key decisions made, and offers a means to assess the effectiveness and relevance of such decisions whilst also providing a mechanism for future the development of plans and processes. OwnershipWe want participants to be confident that they can go back to their own organizations and produce, or further develop, their emergency plans in such a way that they become uniquely theirs; relevant and effective. ObjectivesWe want participants to have clear objectives when tackling any emergency. Roles & ResponsibilitiesWe want participants to see their ‘emergency plan’ as a set of agreed procedures and capabilities, instead of a piece of theoretical writing. Wider Risk Knowledge & LiaisonWe want participants to understand common risks and hazards and also learn about any wider hazards that they may not be aware of. Business Continuity and RecoveryWe want participants to consider the equally important, but potentially conflicting, areas of Business Continuity and Business Recovery. CommunicationWe want participants to compare their current systems for communicating with new and emerging ideas and technologies. Exercising We want participants to feel confident about developing their own crisis exercises.